Los Angeles, Oct 30 : "Slumdog Millionaire" actor Dev Patel is set to make his directorial debut with revenge thriller titled "Monkey Man". Patel will also act in the movie, which is being presented to buyers at this year's American Film Market (AFM), reports variety.com. "Monkey Man" centres on a boy (Patel), who emerges from prison to grapple with a world marred by, in the words of the logline, "corporate greed and eroding spiritual values". 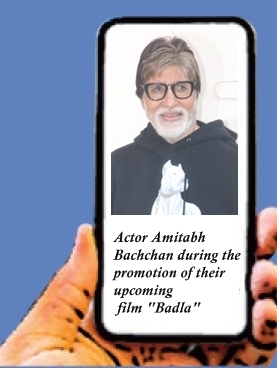 The release announcing the project was slim on plot details beyond saying that the film is set in modern-day India, but also deals with mythology. Patel, an Oscar nominee for "Lion," co-wrote the script with Paul Angunawela and John Collee. The production set to start in spring 2019 in Mumbai. Patel's upcoming films include "The Personal History of David Copperfield" and "Hotel Mumbai".